Our production process is shaped by lean principles and is inspired by the automotive industry. 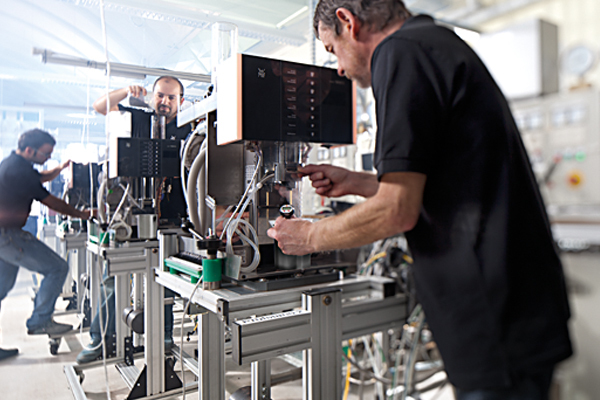 Skilled workers with many years of experience assemble and inspect every machine. An established continuous improvement procedure ensures constant optimisation of processes in assembly, start-up and logistics. A fully automated small parts warehouse ensures that individual parts and components are available at a moment’s notice. 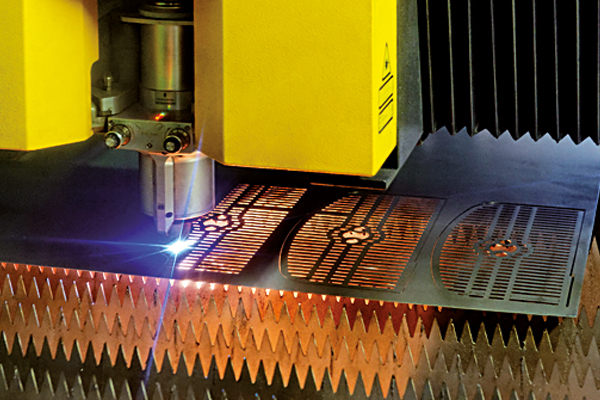 Around 3000 different sheet-metal parts (made from 100% stainless steel) are manufactured in a three-shift system using ultramodern systems such as our fully automatic laser cutting machines. 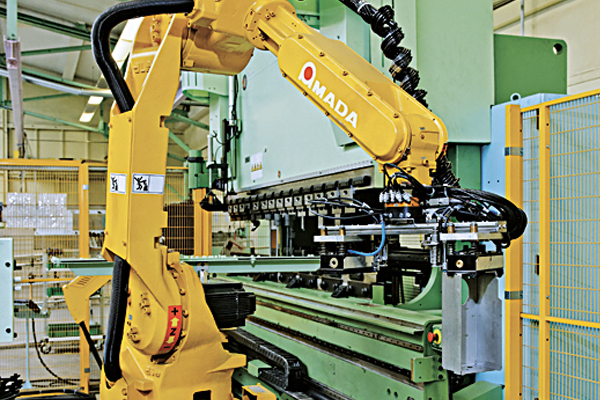 When it comes to the production of individual parts, we make use of automated systems such as bending robots. These guarantee maximum productivity and part accuracy. 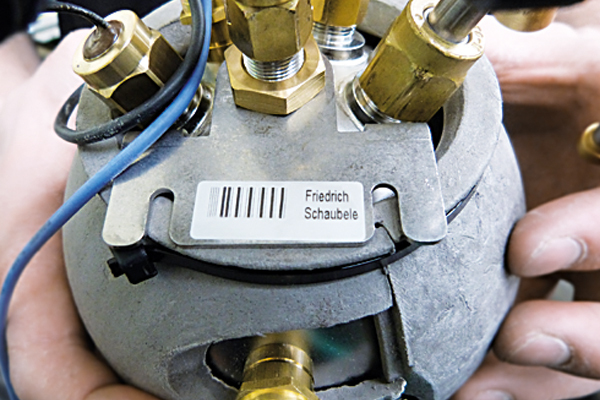 Every machine component can be traced back to the person who built it. So each member of staff that builds a component is willing to stake their reputation on its quality. We put every single coffee machine into operation and test it rigorously. It is not allowed to leave the factory until all the testing stages have been passed to 100% satisfaction. 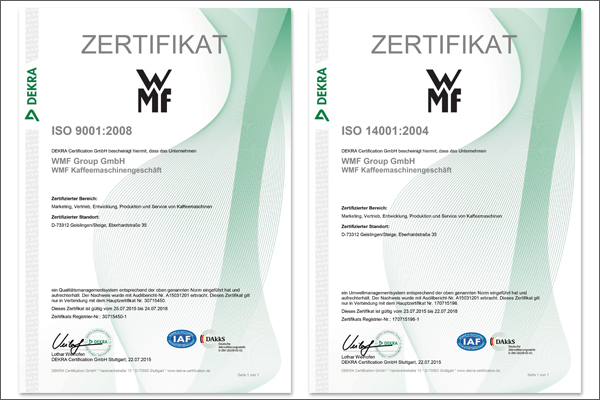 The coffee machines business division at WMF is certified to ISO 9001 (quality management) and ISO 14001 (environmental management). This is yet more proof of our commitment to quality, precision and robust, innovative products.